I have been unemployed since my graduation in September and let me tell you it has sucked. It's sucked not having any money, it's sucked not to be able fully support myself. It's sucked to see so many people I know get a job while I struggle (which is a bit selfish of me I know) but today I'm going to give some advice which has helped me through my unemployment and that may (hopefully) help anyone who is currently looking for a job. So you are looking for a job and you seem to be getting nowhere. Hello and welcome to the very large club, it's tempting to see it as all your fault when you can't get a job. But trust me, it's not just you! 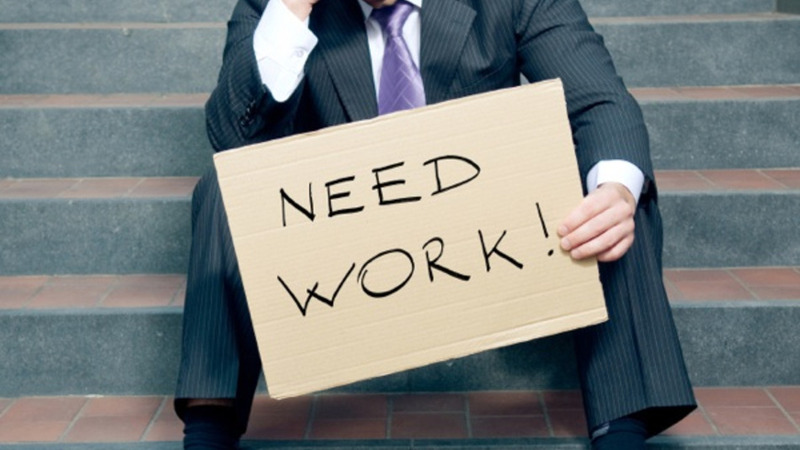 It's hard out there and loads of people are struggling to find work. It has nothing to do with your talents, experiences or education, stop putting all the blame on yourself. You will hear endless amount of people telling you to "just get a job" and that it's easy. No it's not. Finding work in a pretty rubbish economy is no easy feat, many of those people telling you it's easy were lucky enough to know the right people in the right places. Not all of us are this lucky, just ignore everyone who tells you just to get a job. You know how hard you are trying and that's all that matters. Use your unemployment to your advantage. I know it sounds frustrating when you don't have much money and no job but while looking for work use the time to also learn something new. Either something that you believe will help you get a job or something just for yourself, either way use your time to learn something new. A job doesn't define you. I hear so many people day "my job is who I am" and maybe for some it is but not all of us. Even if you are currently in a job or are looking for a job just to pay the bills it doesn't mean you're a failure. What defines you are your opinions, your likes, your dislikes, your hobbies ad so on. Not your job. It won't last forever, eventually you will find a job and you will be able to support yourself. Just keep pushing yourself forward and never give up. In a few years you'll look back and smile with how good things got. I hope this may have helped any of you out there who are currently looking for a job and that it gave you some comfort and motivation. Did you like this post? What advice would you give to anyone looking for work? You're completely right Kim it's so annoying seeing graduate jobs that seem perfect but then want 4 years experience! Thank you my amazing friend! I love you too!